In 1758, when French comet hunter Charles Messier began jotting down the positions of faint, fuzzy objects he spotted with his rudimentary telescope, he scarcely could have imagined that they would represent some of the most sought after targets of amateur astronomy over 200 years later. Indeed, they are. This assortment of 109 galaxies, nebulae and star clusters – known as the Messier objects – comprises most of the finest jewels of the sky. 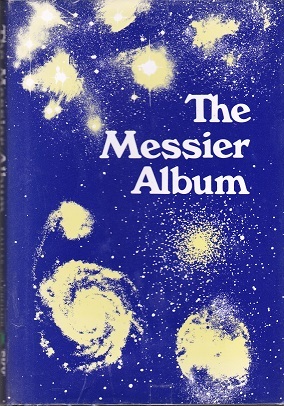 The Messier Album has helped tens of thousands of amateur telescope users observe and appreciate these objects. Modern and classical descriptions of each one supplemented with photographs, sketches, finder charts and astronomical miscellany. An introductory chapter recounts the history of the Messier catalogue and reproduces the original 1784 version. For anyone with binoculars or a recreational telescope, this time-tested observer’s guide will inspire a lifetime of astronomical discovery.